Disney is magical. Having a baby is magical. Putting the two together is a perfect fit! 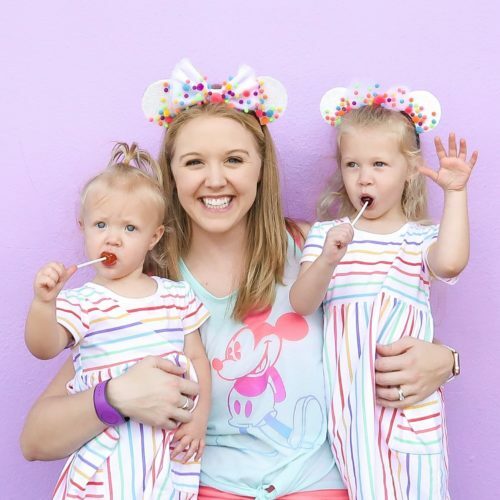 If you’re obsessed, like me, you’ll want these adorable Disney baby must haves for your newborn.
. Now all they need is a Disney Princess version (hint, hint). It’s so much fun to dress your baby in sweet, adorable clothes. While not all clothing is practical, these rompers and onesies are the perfect mixture of Disney style and comfort. I can’t wait to try them on my little princess when she arrives later this summer. Even at a young age, toys can be developmentally challenging and helpful in growth. These toys are perfect for your young baby. From a sweet cuddly lovey, to teething rings and building blocks, these cover the first year seamlessly. I was never a fan of using my kitchen sink for baby baths. I loved using a baby bathtub instead! This one has soft mesh and would grow perfectly as baby does. Bath time is fun time in our house! These soft and squishy toys make the perfect addition to bath time. Lastly, I love using the hooded towels when my daughter was little. This princess one is just too cute to resist! , a stroller for trips to the store (or Disney) and a carseat are three of the most essential must haves for a new baby. I love this sweet princess themed basinet which is perfect for the first few months when baby is still in mom’s room. This carseat and stroller travel system is absolutely adorable and perfect for a little princess (and it’s a good price too)! 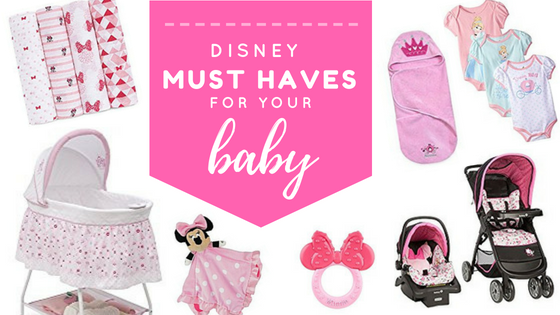 These Disney must haves for your baby are fun and certain to show your Disneyside. Already planning your first Disney trip? Be sure to read 5 Reasons to Take Your Baby to Disney World. I hope one of these favorites inspired you as you prepare for your little bundle of joy!